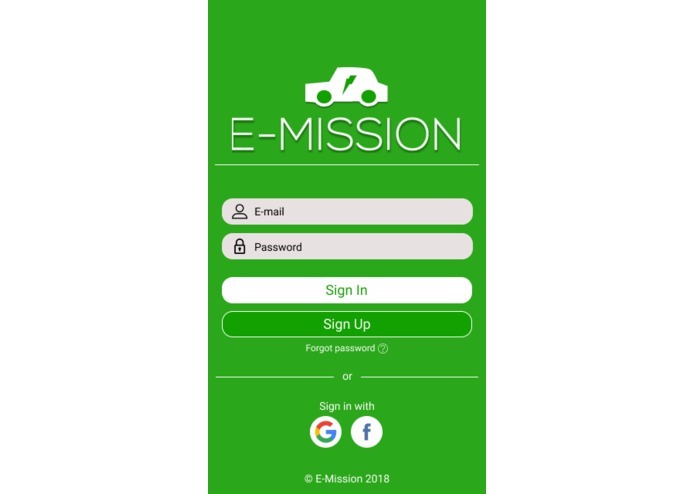 Show the benefits of electric cars with a fun app. Today, as we are on the cusp of seeing first-hand the effects of climate change, there is a public desire to reduce their footprint on the earth. 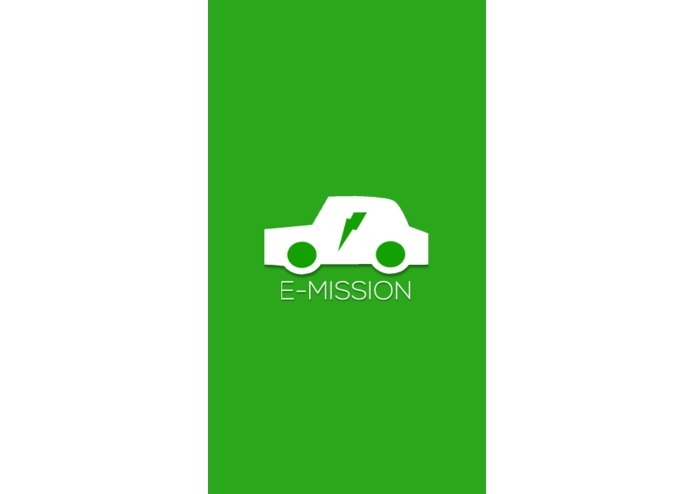 We built a platform which demonstrates the incentives for the individual to switch over to an electric car. If you want to try it out, here's the apk! There exists a gap between consumer knowledge and the reality of how affordable electric cars can be. It costs much less to run an electric car than a gas-powered vehicle. Our team wanted to show the user exactly what impact they could have on their budget and in their community. 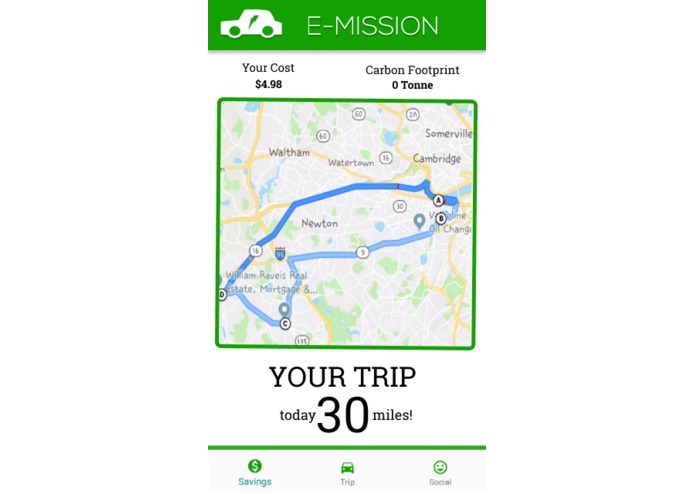 E-MISSION connects people and their GPS, tracks their mileage and demonstrates the savings provided by E-Vehicles. For example, anyone who is concerned about the environment can track their carbon footprint during their daily commute. They can also see the amount of money they would be saving if they had an electric car. We used Android Studio to build the Android app and built with Java and XML. We used Google Maps API and Google's Locations API and OS API on our app. We ran into a multitude of challenges integrating the Google Maps API and Location Services API into our app. We also had challenges in coming up with the user interface of the app and designing it user-friendly and simple. We are happy with our design and with the simplicity of our app. We learned a great deal about writing the server side of an app and designing an Android app using Java (and Google Map’s API” during the past 24 hours. We had huge aspirations and eventually we created an app that can potentially have a positive impact on climate change. We taught ourselves the basics of Android studio (two of our developers are new to programming). We learned how to use Figma to prototype designs. All of us used git for the project and it was really exciting! We have high hopes for the future of this app. 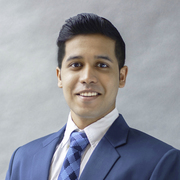 We plan to expand our Google Maps features by connecting Energy.com's data on local e-ports so that consumer can see the nearest charging station with the least amount of traffic en route. 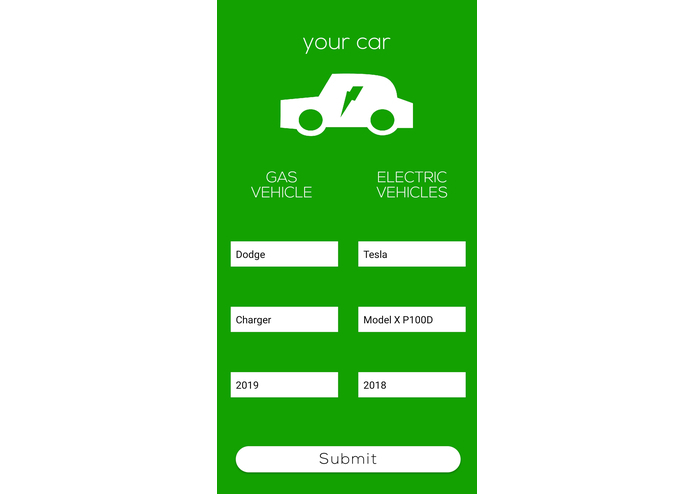 Planning a site to track E-Vehicle Saving after some Data Generation to encourage electric vehicle. I did lots of the Android programming and worked to get the data from the files, processed, onto the UI and interactive with the user. This was my first time working on an app. 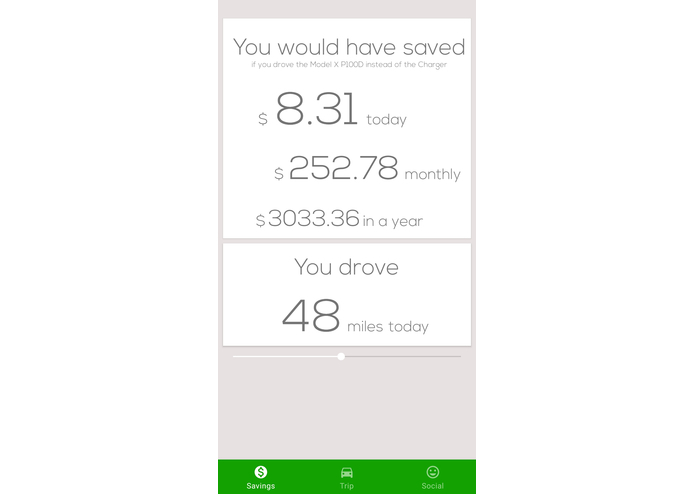 I learned to use Android Studio, GIT, and Figma for the first time and created the data sets that provide car make, model, year, MPG, price points, and MPGe. I researched the topic and how to calculate the mileage, costs, and potential savings. I helped design the log in and maps portions the app in Figma. I worked on the front end mainly in Android Studio and designed the layout of the app, and dived a little bit into the Google OS Login API.